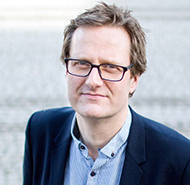 Håvard Haarstad is Senior Researcher at the Department of Geography, University of Bergen. He received his PhD from the same University in 2009, and had a postdoctoral research fellowship there between 2010 and 2014. His research concerns the governance of energy and natural resources, particularly governance of low-carbon energy transitions. He has worked for many years in Latin America, particularly Bolivia, researching and publishing on natural resource governance and sustainability issues there. Currently he is involved with research on cities and their role in stimulating low carbon energy transitions, as Principal Investigator of the project Energy transition from above or below? Structures, governance and strategies in Norway and Europe. He is involved with the Spaces of Climate and Energy Lab at the University of Bergen. Relationships between natural resources (particularly oil and gas) and society.